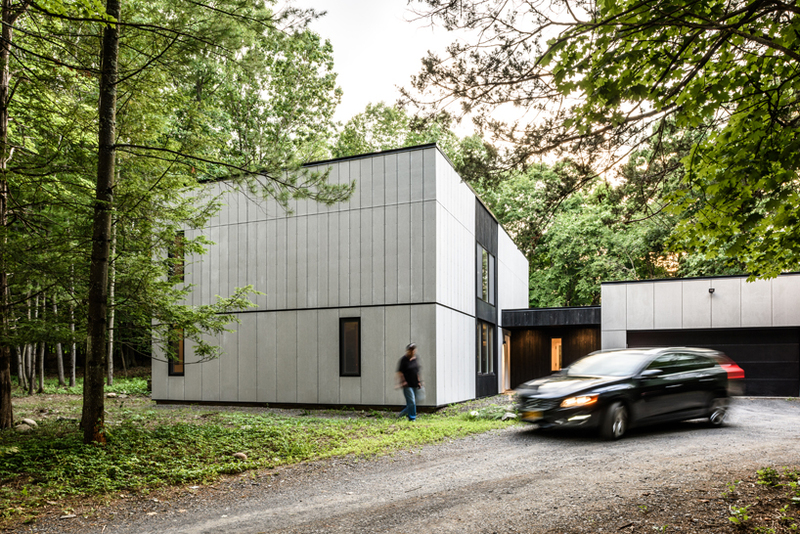 alexallen studio’s recent renovation of a house located in new paltz, new york, is a practice in simplicity, efficiency, and low maintenance. 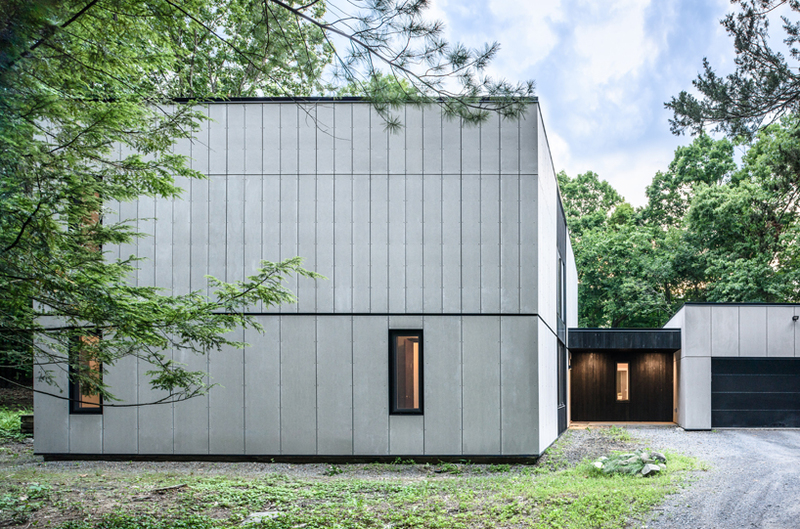 originally designed by john bloodgood in the 70’s, the single-family residence was clad in t-111 siding without insulation and in desperate need of an exterior renovation, a new roof and a mechanical systems overhaul. adding to this challenge, the client had requested to use materials that would require little to no future maintenance. for this reason, alexallen studio selected shou-sugi ban wood as the visual focal point of the exterior. this ancient japanese technique of preserving wood by charring its surface, is highly resistant to the elements, attractively weathers over time and requires almost no maintenance. 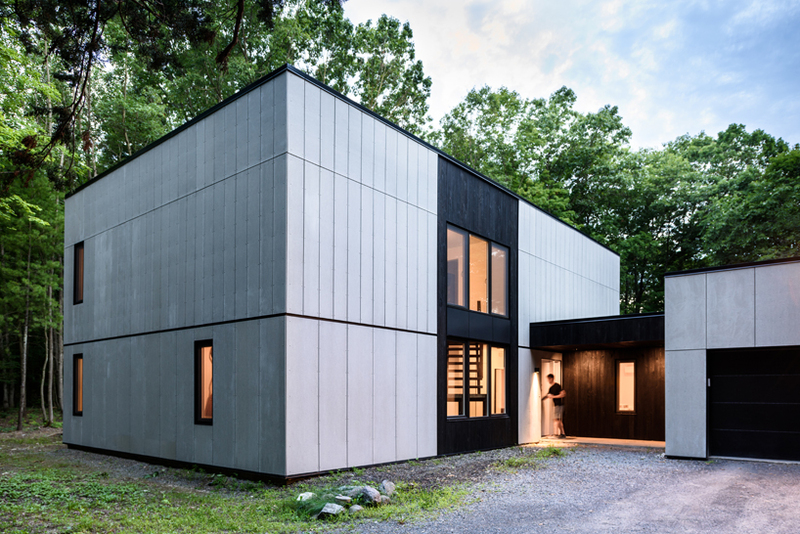 fiber cement paneling was also chosen for its weather resistance, sustainability, and its cost-effectiveness. 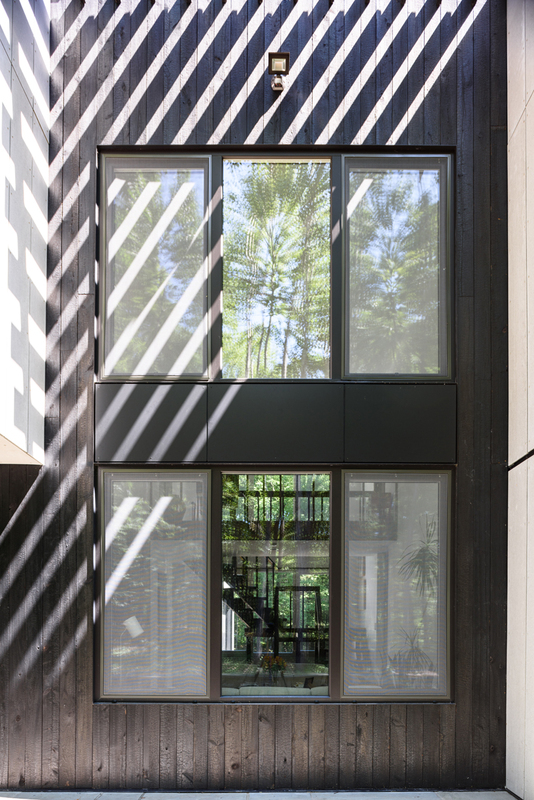 the new exterior reflects the interior spaces with the shou-sugi ban highlighting the house’s main double-height living space. 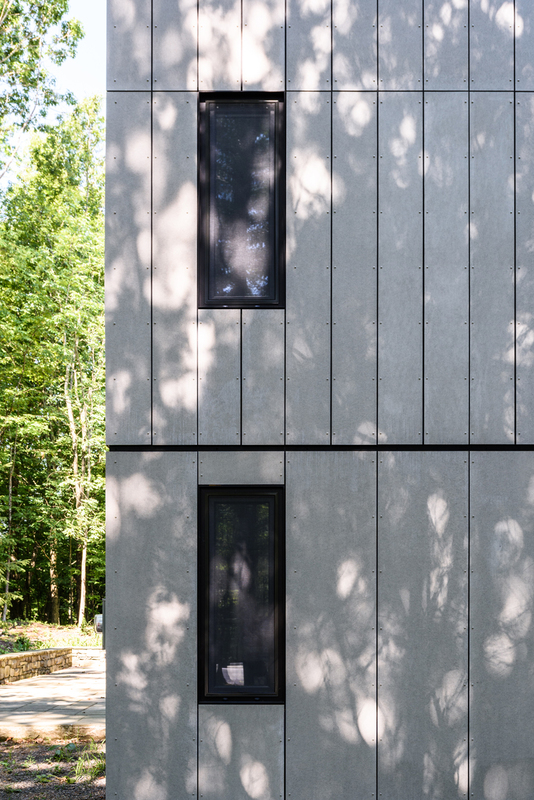 a reveal running around the house divides the wider cement panels at the base from the narrower cement panels above and also marks the house’s the second level. alexallen studio stripped the exterior and windows down to the studs in order to fully insulate, replaced the windows with triple glazed windows and installed a new mini split system to replace the old electric baseboard heaters. the new siding acts as a rain screen and added sunscreens further protect the house from the elements. the result is an aesthetic and performative upgrade that would require little to no future maintenance while retaining the integrity of the existing floor plan and interior spaces.